Karl Heinrich Waggerl was born on 10 December, 1897 in Bad Gastein, in poor circumstances. In 1916, during his training to become a teacher, he volunteered for the Tyrolean Front. In 1918, he was taken as a prisoner of war by the Italians and returned home physically and mentally ill in 1919. In the same year, he finished his training, married Edith Pitter and took a job as a teacher in Wagrain. After repeated recurrences of his illness he was pensioned off in April 1923. He was only 26. Many years of doubt and hardship followed, during which Waggerl earned his living through different jobs. He learnt various artistic and handicraft techniques, and also wrote his first stories. However, his gloomy descriptions of the human abyss and its hopeless destiny met with incomprehension and rejection from magazines and publishers. 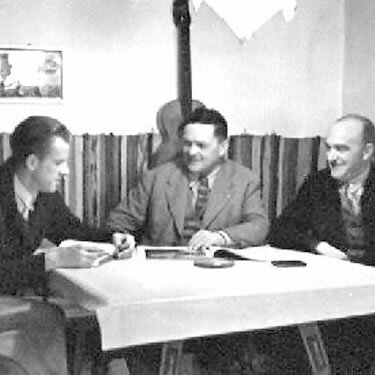 In 1929, Waggerl achieved his literary breakthrough with his novel“Brot” (Bread). 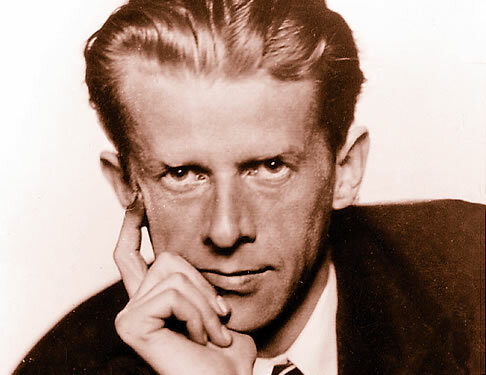 By 1935 he had written three further novels Schweres Blut“ (Heavy Blood), „Das Jahr des Herrn“ (The Year of the Master), und „Mütter“ (Mother). In the 1920s and the 1930s he was also very busy with photography. Nothing is permanent - how sad, how comforting! Having completed the core of his writing, with his four novels, Waggerl’s work after the World War Two consisted only of small works of prose. However, he undertook many lecture tours, especially in Germany and Switzerland. 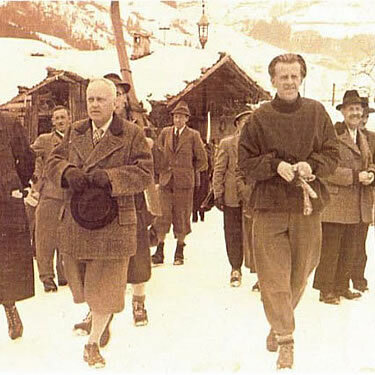 He used these tours and his great popularity to promote the budding tourist resort of Wagrain. Waggerl’s role in the development of Wagrain as a blooming tourist attraction was absolutely central and not to be underestimated. Karl Heinrich Waggerl is one of the most important Austrian writers, whose literary work is closely linked to descriptions of his home and of Wagrain. His work, which came out as a collected edition in 1970 and 1997, consists of approximately 1.400 pages. There are more than 7 million copies of his books available, and they have been translated into 12 different languages. 4 November 1973, as the result of a car accident.